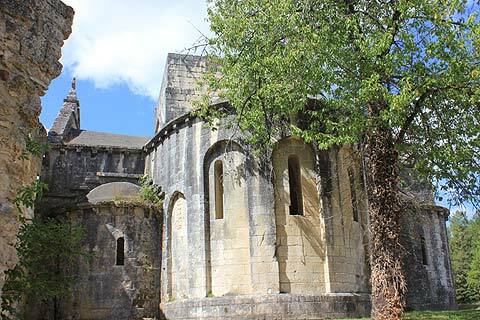 Villars is a small village in the north of the Dordogne department whose main sights are the ruined Abbaye de Boschaud and the Grotte de Villars. Villars itself is a small village with a fortified church dating back to the 12th century though with renovations in the 16th and 19th century. 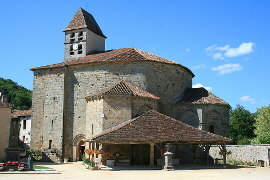 In its graveyard is a large 'chapel of the graveyard'. 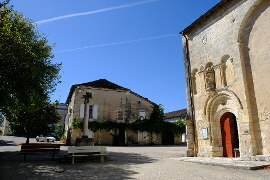 The church is in the main square of the village which is a quiet square with a couple of shops and the halle under which has been built a long building that does rather spoil it! 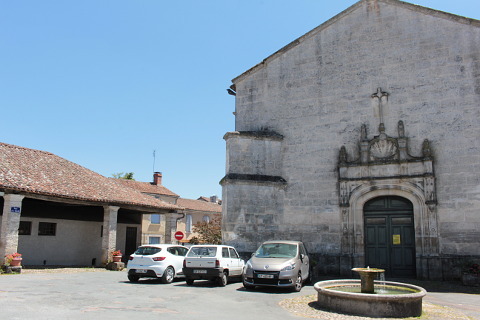 In the village is also the small but attractive Chateau de Villars which is more of a grand house than a castle but prettily decorated with patterned bricks. 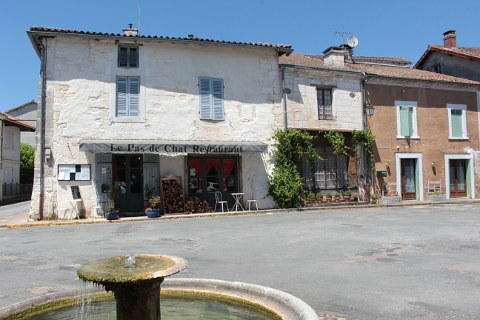 It was built in the 19th century and is now a bed and breakfast accommodation. 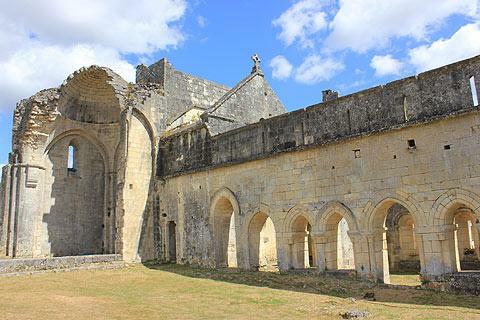 The Abbaye de Boschaud was built between 1154 and 1159 with money from the nearby Abbaye de Peyrouse. 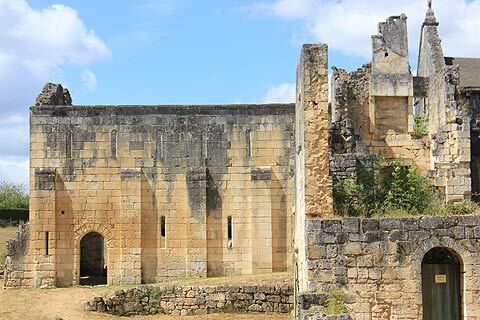 At the time of its construction an Abbey was supposed to house the relics of a great saint and indeed there is talk of a 'body under the alter or in the wall' but nobody knows the name of the saint in question. 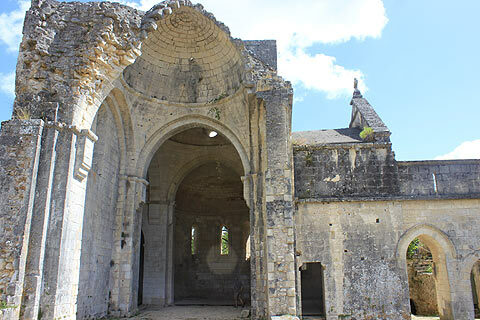 Since its glory days as a Cistercian abbey it has been attacked, robbed and ultimately abandoned. 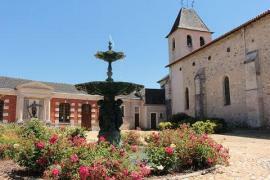 After some time covered in vegetation it was bought by the French state, restored and classified a 'Historic Monument'. 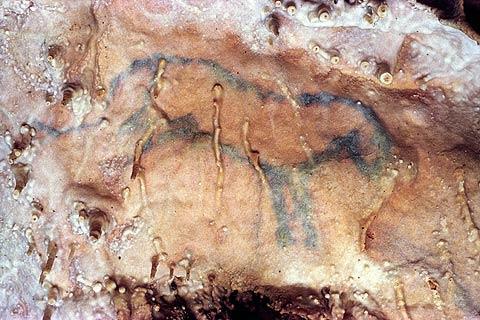 Also on the edge of Villars is the lovely 'Grotte de Villars', a huge natural cave full of stalactites and stalagmites and also a couple of pre-historic paintings including an extremely rare one of a human figure. There is also a prehistoric trail with plants prehistoric man would have eaten and information boards about how he lived. 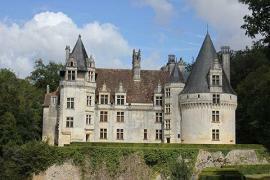 On the edge of the village of Villars is the impressive Chateau de Puyguilhem, an attractive chateau in the style of the Chateaux of the Loire Valley though on a much smaller scale. 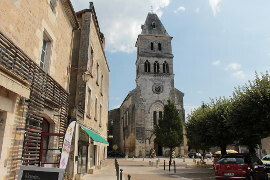 Saint Jean de Cole is a charming village nearby which is classed as one of the "most beautiful villages of France". 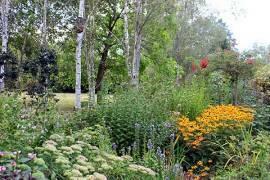 In the village lots of stone and half-timber houses sit alongside the river Cole. 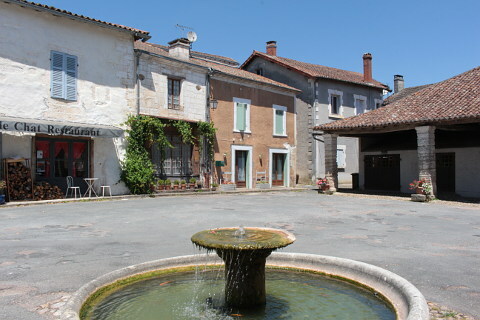 Its roofs come in all shapes and sizes and the village once won a "finest roofs in France" competition. 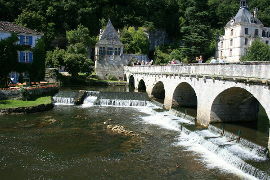 Brantome with its gorgeous riverside setting and impressive abbey is one of our favourite villages in the Dordogne.